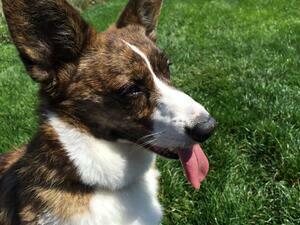 What Determines Whether a Dog Will Do Well in Daycare? 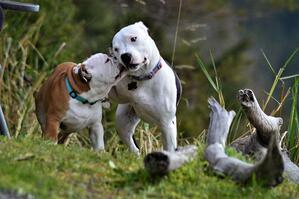 Does your dog truly enjoy interacting with unfamiliar dogs or do they simply tolerate being around other dogs? Do they make it clear that they want nothing to do with other canines, or do they prefer the company of only one or two playmates? Many dog owners think that their dog will enjoy being in a daycare with other dogs simply because "they're a dog — it's what dogs do!" But while our intentions are good and we want to make sure our furry friends have a well-rounded and fulfilling life, putting a dog who doesn't truly enjoy group play into that environment can cause fear, anxiety, and stress. A dog's sociability changes throughout their life, just as it does with humans. When I was younger, I certainly enjoyed going to loud parties and meeting all different kinds of people, but as I've matured my tastes have gotten more particular. Now I prefer a small dinner party with a few hand-picked friends or simply relaxing by myself at a coffee shop in my free time. It can be the same for dogs — minus the coffee, of course! If you've taken your dog to the dog park, you might have a good idea of how well your dog does around others. Or if you recently adopted a dog into your family, you might have no idea how they do around other dogs and a daycare trial can be a good way to gauge their sociability. However, don't feel bad if daycare staff informs you that your dog didn't enjoy it or your dog exhibited behaviors that preclude them from attending; your dog can live a well-rounded and fulfilling life without attending dog daycare. A dog social dog loves almost all other dogs, even the ones that can be rude and obnoxious in their greetings and play. Most puppies start out at this level of sociability, but it's more rare for adult dogs to be in this category. These dogs tend to do well in daycare and group play environments, but it's important to make sure they aren't overly social and causing stress to other dogs that might not enjoy the same level of play and in-your-face attention. We start to see dogs aging out of this category as they reach sexual maturity (around 6 months of age, depending on breed and other factors), or if they have a bad experience that creates a negative association with canine interaction. If you have a "dog social" dog, you have quite a few options as far as which daycare style and set up might work best. Try out a few and choose one that encourages polite interaction and maintains positive socialization. A dog who is dog tolerant can also do well in a daycare environment. They get along with most other dogs, and tend to be more subdued in their excitement levels. Many adult dogs who were properly socialized and have had positive canine interactions as young puppies settle into this category. Dog tolerant dogs are very good communicators — they respond appropriately to body language cues, prefer avoidance over confrontation, and use appropriate levels of correction for rude behaviors from other dogs. These dogs are a wonderful option for introducing younger puppies or cautious adult dogs to the world of dog play because they are polite and usually willing to interact (or not) based on what the other dog is "saying" with their body language. If you have a dog tolerant dog, a variety of daycare set ups might work for you. Look for one that supports your dog and works to maintain this good level of socialization. Dog selective dogs are more choosy when it comes to what dogs they do well with. More often than not, they have well-matched dog friends but need help when being introduced to unfamiliar canines. 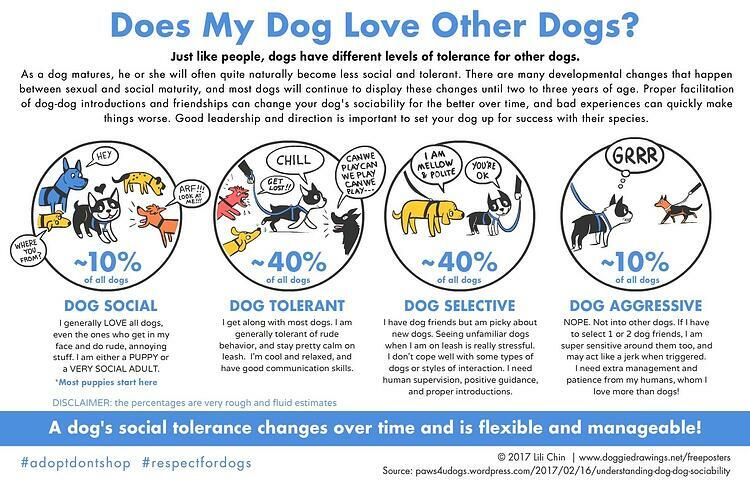 They tend to prefer a certain type of energy or play style over others, and they don't put up well with rude or inappropriate behaviors from other dogs, sometimes overreacting towards and overcorrecting another dog. Some dog selective dogs can do well in daycare, especially if they are properly managed and matched with appropriate playmates. However, some daycare set ups can make a dog selective dog more nervous and stressed around other dogs, which can tilt them into the next category. If you have a dog selective dog, a smaller daycare group with a consistent play group and constant supervision is best. However, if your dog is happy just relaxing during the day while you're gone, daycare isn't a necessity. Intermittent pre-planned play groups with known playmates can be more than enough to provide your dog with canine interaction. Dog aggressive dogs are not inherently "bad" dogs — most aggressive behavior is a result of fear or insecurity. These dogs do not enjoy the company of unknown dogs and usually make it clear with loud barking, lunging, and snapping that they want the other dog to leave them alone and go away. While they might have one or two doggy pals that they do okay around, even then they need help from humans to prevent bad experiences. It is OKAY if your dog doesn't enjoy the company of other dogs. More often than not, these dogs simply want to relax at home and are perfectly content without forced interaction with other dogs. Dog aggressive dogs should not be subjected to a daycare environment, and a daycare is not the place to try and modify this kind of behavior (neither is a dog park!). The best thing you can do for your dog if they fall in this category is to not put them in a vulnerable and scary situation to begin with. Daycare staff will thank you! If you have a dog aggressive dog, it is best to work with a certified professional dog trainer or board-certified veterinary behaviorist who can help your dog with positive reinforcement and counter conditioning. Never use aversives (shock collars, prong collars, etc.) as these often make the underlying fear worse — any dog trainer who recommends this type of punishment-based training with aggressive behavior is one to avoid! You might have heard dog experts talk about a dog's "drive" but aren't quite sure what that means. But a dog's drives, personality, and breed disposition can impact how well they do in a dog daycare environment. Certain breeds were developed around particular jobs they performed, which relied on instinctual drives and built upon them for stronger behaviors like herding, tracking, retrieving, and endurance. Some dogs have more shy personalities than others, while others are more nervous or neurotic. Having a "high drive" for something means that the dog is incredibly motivated to work for that type of reinforcement, and a "low drive" means that they aren't motivated much by what's being offered. For example, dogs that love chasing animals like squirrels, birds, or rabbits have high prey drive. You usually see this drive in sight hounds or hunting breeds, but any dog can have high prey drive. Another example is food drive — a dog with high food drive will work very hard to get food or treats, while a dog with low food drive doesn't care much for food and won't work as hard or as long for it. A dog's drives are fluid and can change in intensity depending on the environment. My corgi (seen in the inset photo) has incredible food drive, but if a squirrel appears, she cares less about food and only wants the chase. Her prey drive is stronger than her food drive the closer we are to the squirrel. But her drives can make certain daycare environments or play groups more difficult to manage and impact safety — if a smaller dog starts to run and act insecure, her prey drive will kick in and she'll start to chase the dog inappropriately. Being aware of your dog's particular drives helps you set them up for success! My corgi does best in daycare groups with dogs that are larger than her, as this helps prevent her prey drive from being triggered and her chasing after and targeting a smaller dog. Some working dog breeds with high drive don't do well in certain daycare setups because they need a continuous outlet for their physical and mental energy, and can start issues with other dogs because they simply don't know when to turn it off. Certain breeds exhibit a bit more nervous energy and attract the wrong kind of attention from other dogs in the daycare pack. Other breeds are predisposed to being very independent, and this can result in being hard to manage by daycare staff because they simply don't listen (or care) when they're being called. Each dog should be judged on their own individual personality and behaviors when trying out a daycare, but if you try to match the environment to their disposition, they are more likely to enjoy their time and the play group will be safer and easier to manage. If your herding breed just loves to run circles around other dogs at the dog park, herding them and nipping at their heels, avoid sending them to a daycare where this behavior might cause scuffles and fights when the dog getting nipped finally has enough of being herded around and turns on your dog (and I'd suggest interrupting and not allowing this kind of behavior if you do see it at the dog park — try urban herding classes instead). If you have a breed that loves to follow their nose and stops at nothing to stay on the trail, make sure their daycare has proper containment strategies and ways to keep your dog entertained because these dogs have no problem climbing fences and going on adventures around town. Dogs that have a more nervous or worried personality might not be causing issues with other dogs in the group, but they might simply not enjoy being in daycare. It is not worth the distress your dog is experiencing to keep them in a daycare environment, no matter how convenient it might be for your lifestyle. Being in that state of mind can cause long-lasting behavioral issues and affect your dog's health in the long term. If a daycare informs you that they think your dog is not enjoying their time with the group, respect your dog's preferences and avoid putting them in an environment that causes them unneeded fear, stress, or anxiety. And then thank the daycare staff for being honest and transparent about your dog's behavior! A daycare that would turn away a paying customer based on protecting the dog's physical and emotional well-being has the right motivation for being in the industry. Some behaviors that a dog exhibits in a daycare environment can be worked on with daycare staff or a dedicated dog trainer if the facility has one on their team, but there are some behaviors that cannot be trained at daycare. If your dog's daycare brings up that your dog is exhibiting some worrying behaviors while there, ask them whether it's something that can be approached with at-home training, in-daycare training, or if it's something that is only managed by not exposing your dog to that environment. Please try to be understanding of daycare facilities when they bring up problem behaviors that your dog might be practicing. A good dog daycare will be transparent from the get-go about how your dog is doing, but these facilities are also trying to balance other business responsibilities. At a daycare I previously managed, we had to be very clear with owners of dogs that barked excessively (due to boredom or excitement) that their dog might be dismissed if the limited training we could do in the environment didn't improve the behavior — we had to be good neighbors to other residents and businesses nearby, and we did not believe in just throwing a shock collar on the dog to prevent this kind of barking. Certain behaviors might be more manageable in different daycare setups; if your dog isn't doing well or gets dismissed from one type, ask them if an alternative style might be a better match for your pup. Many daycare clients of mine did much better in a different type of daycare because the unwanted behavior was never triggered in that different context or they could better manage it. Read this article for a more in-depth look at the different styles and setups of daycare available. Unfortunately, too many dog owners believe they have no other option besides daycare for their dog while they are at work, even after being told that their dog was unhappy in the environment. As long as their dog wasn't causing harm to others or getting hurt themselves, they want to continue to drop them off. This isn't fair to their dog or to the daycare facility that is trying to provide a healthy and safe environment for the dogs in their care. Dog daycare is not a requirement for a dog's well-being, and there are plenty of other ways to provide exercise, companionship, and play. Owners that want to give their dog a midday bathroom break and some exercise time have plenty of options when it comes to dog walking options. This is a great option for those owners that might not have the time or energy to give their dog physical exercise during the work week. Smart phone apps are making it easy to book walks and track your dog during the visit, but there are still lots of more traditional style dog walking services available. 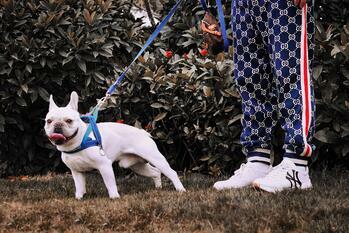 Check out this article for info and tips on how to find the right dog walker. If you're worried about your pup being left alone during day, pet sitters might be a good option if they are able to keep them in their home while you're at work. It can be your dog's very own private daycare set up! 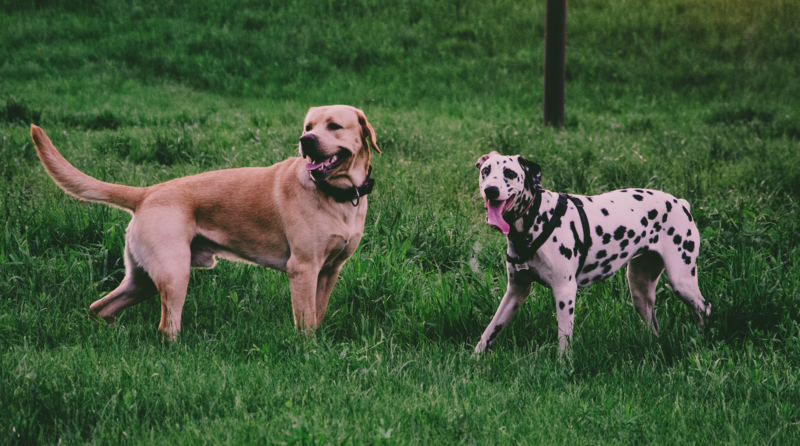 If your dog doesn't enjoy unfamiliar dogs in a daycare environment, but has a few particular dogs that they get along well with, plan some fun doggy play dates together! This can help maintain your dog's socialization level and prevent bad dog-play experiences, plus it's a great time to socialize with other pup parents (just make sure you've always got an eye on the dogs to properly manage the canine play). Sounds simple, right? It is! If your dog's physical exercise and mental stimulation needs are being met at home, there is no need to put them in dog daycare, especially if they don't enjoy it, it's causing stress or anxiety, or it encourages unwanted behaviors like herding, inappropriate chasing, or barking. Don't feel bad if your dog doesn't do well in a dog daycare — as long as they have your companionship and love, along with the proper amount of physical exercise and mental enrichment, their life is pretty sweet! Let us know if you have a dog that doesn't love or do that great in dog daycare, and share what you've done instead in the comments below! Feel free to submit your training questions as well!